Saving money should be easy. Our users saved over $1,000,000 in the last month. Get your results in less than a minute. Trim uses bank-level security with 256-bit SSL encryption, two-factor authentication, and read-only access. 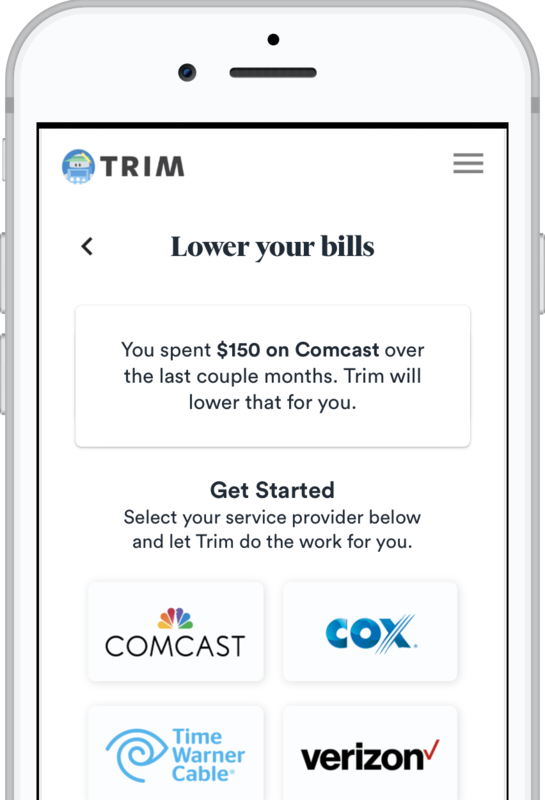 Trim will analyze your accounts to find recurring subscriptions and determine where you can save more money. 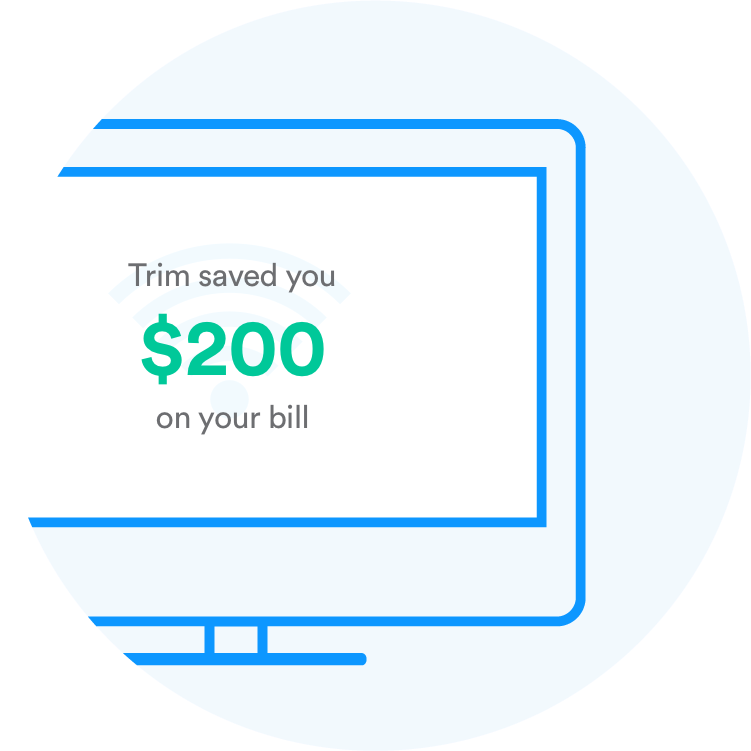 Trim cancels subscriptions, negotiates your Comcast bill, finds you better car insurance, and more. Getting ripped off on cable or internet? Trim can negotiate your bill down for you. Works with Comcast, Time Warner, Charter, and any other provider. 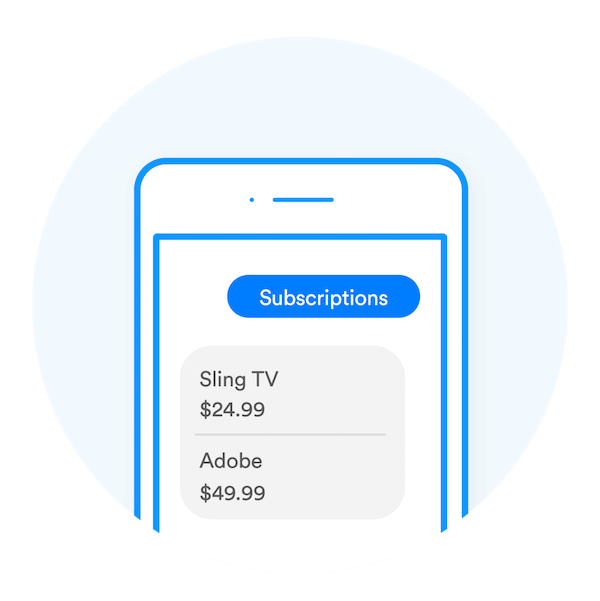 Trim analyzes your transactions to find all your recurring subscriptions. No longer need one? Just ask Trim to cancel it for you! Grow your money with Trim’s Simple Savings. Just set it and forget it with automated weekly transfers into a high-yield savings account. Get a payoff plan, receive expert advice, and lower your APRs. Trim can help get you out of debt. 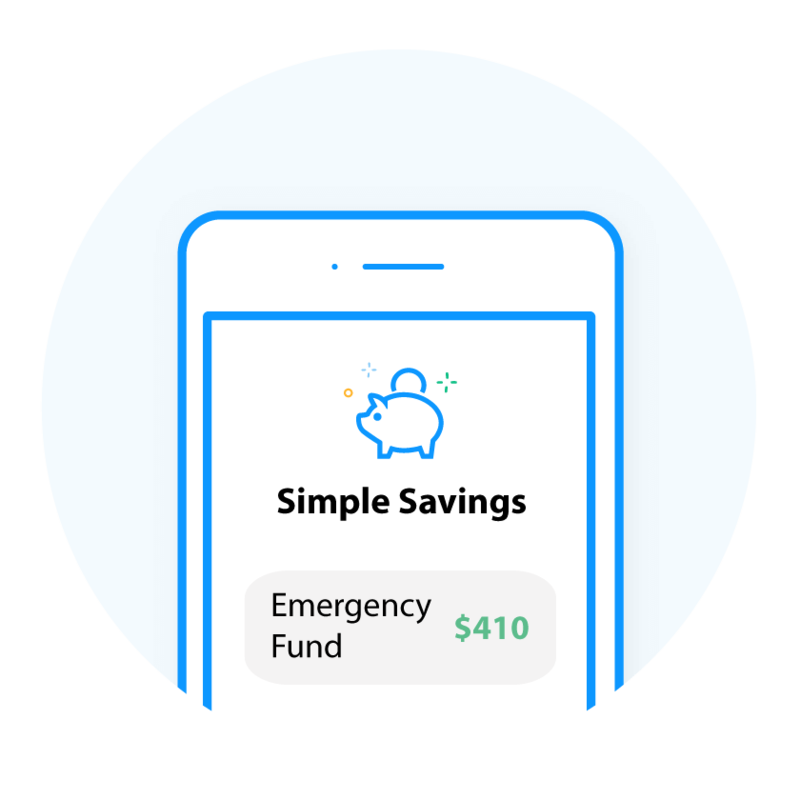 Trim uses bank-level security with 256-bit SSL encryption, two-factor authentication, and read-only access to make sure your sensitive account information is safe. We never store your account credentials on our servers. "Trim was able to negotiate with my cable company and provide more than $50 in monthly savings from my cable bill; all within the first week!" "It makes saving money so easy - it’s like a real assistant that just takes over! It’s easy to set up too!!" 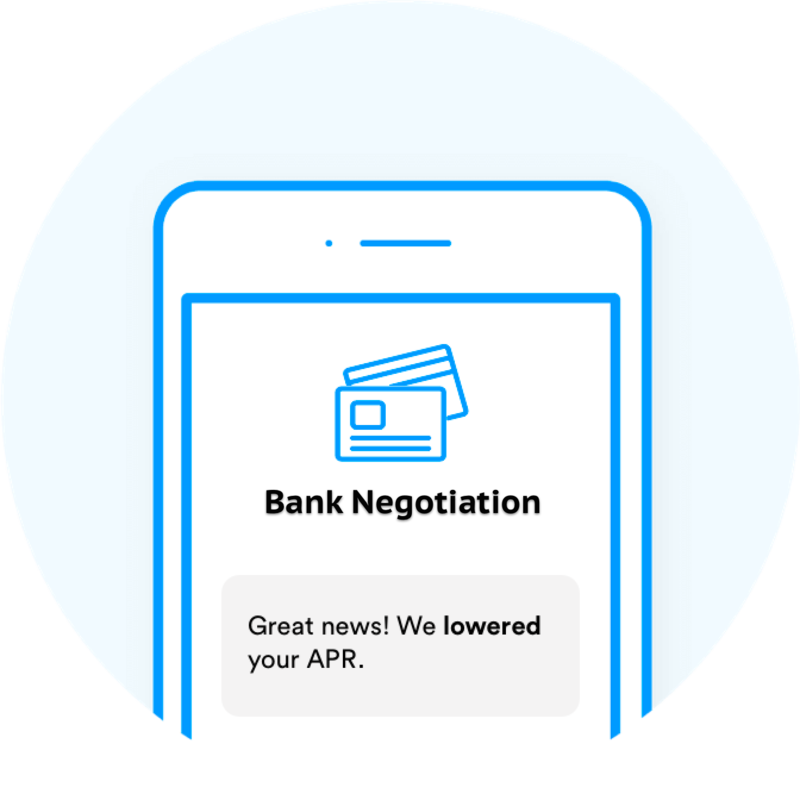 "You saved me over $200 and helped me to re-evaluate my current credit card for a new cash back card w/ a great transfer offer so I can pay my card balance down."